Is there anything better than watching a little Ninja reach a goal? Especially when it’s a really ambitious one. 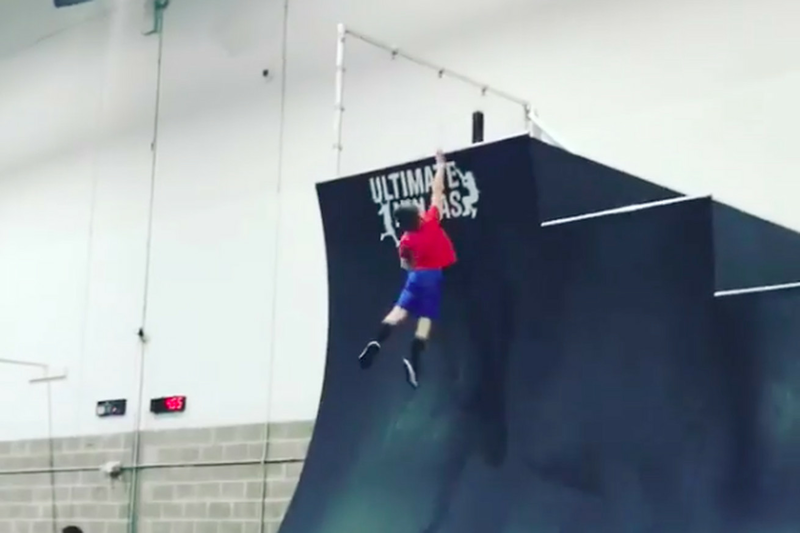 In the video above, you’re watching 8-year-old Jeremy, who is just over four feet tall, land his first 14-foot Warped Wall! Look at Jeremy reach for that ledge. It’s like he floats for a second! “My son is 8 years old, 4’1”, and he beat the 14’ warped wall for the first time at Jesse “Flex” Labreck’s gym with her cheering for him on 1-31-19…her birthday!!! He did it again today (Super Bowl Sunday), and he’s over the moon!! To take that leap into perspective, on American Ninja Warrior Junior, the youngest age group is 9-10, and they take on a 13-foot Warped Wall with handholds starting at 10 feet. Basically, Jeremy is putting himself into a great position to be a contender on that show once he’s old enough. Also, that video is just out of this world to watch and we had it on loop for a hot second. Keep up that dedication to your training, Jeremy!